Ladies! 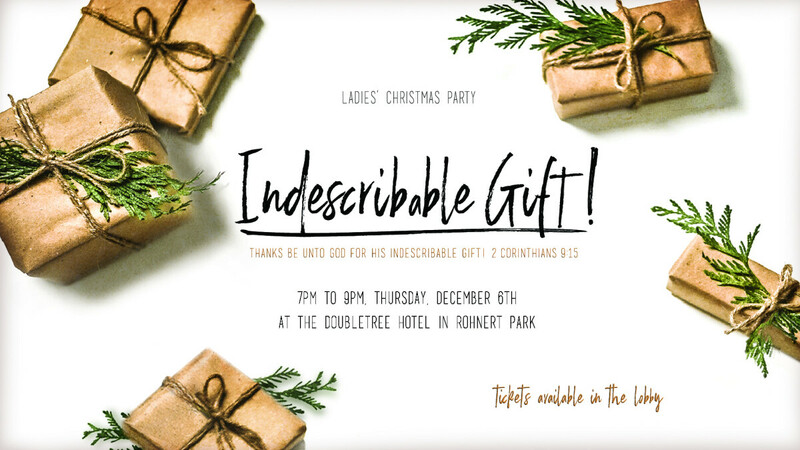 Get dressed up and come celebrate our "Indescribable Gift" with girlfriends and warm Christmas treats. Join us at the Double Tree Hotel Conference Room in Rohnert Park at 7pm. Tickets are $20 each and are available in the church lobby on Sundays and Wednesdays.